I have to admit, I really enjoyed these truffles. So much so that I got rid of them all after taking my first bite because I knew eating them would be a downward slippery slope. Actually, less slippery slope, more like complete drop. They are that good. And normally I’m not a huge chocolate + peanut butter fan. I know, I know – it’s borderline blasphemous, but I can’t help it. 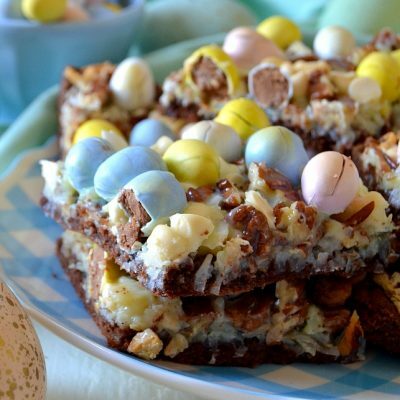 Sometimes chocolate and PB treats are a little too… overwhelming, maybe? 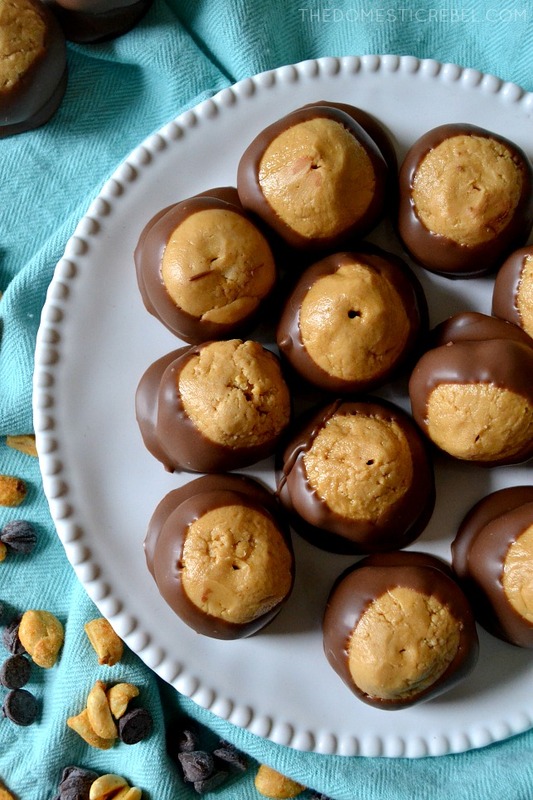 But these hit the spot perfectly without being too sweet or too much for me… yet they are perfect for serious PB lovers, all of whom raved over them. I don’t know much about the Buckeye story, only because I’m not an Ohioan nor have I been to Ohio to experience the buckeye craze. But I think it has something to do with college football, and somehow peanut butter is involved? I have no idea, but I *do* know that these little truffles are addictive and so easy to make! 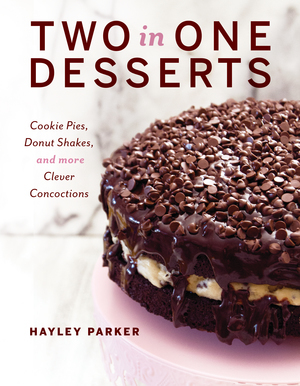 In fact, I am officially putting them into my Christmas baking gift-baskets this year because they make a huge batch, are easily doubled or tripled or even halved, and everyone who tried one just had nothing but adoring things to say about them. 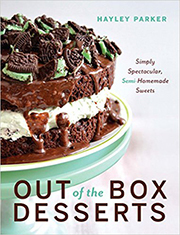 I love a good, easy recipe this time of year when holiday baking is in full swing, and these are it! Basically, you just beat the living daylights out of some peanut butter, softened butter, and vanilla until creamy and smooth. Then add in some heaping cups of confectioners’ sugar until the mixture comes together and is kind of crumbly, like wet sand. Roll them into little bite-size balls and freeze them for a hot minute so they’re easier to dip in the warm, gooey melted chocolate. Once they’re dipped, return them to the baking sheet and let the chocolate set… then you’re ready to dig in! 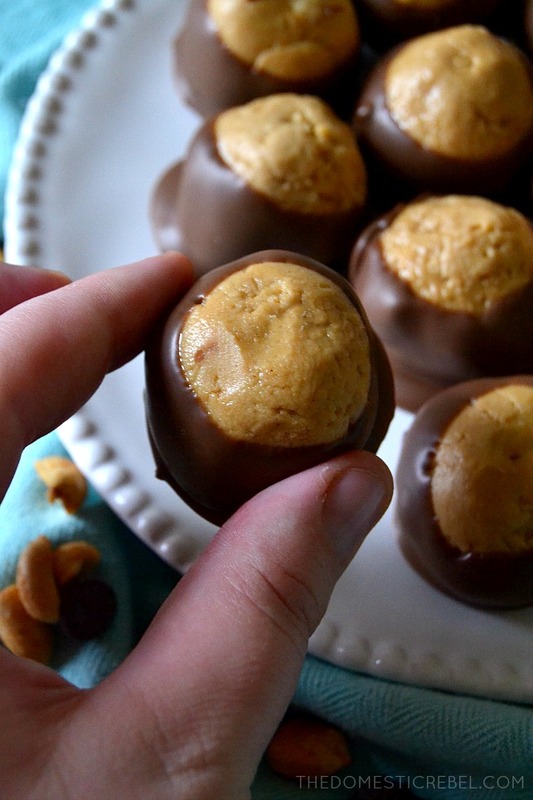 Creamy, sweet, a little salty, EASY, melt-in-your-mouth Buckeye Truffles. There’s truly nothing better! 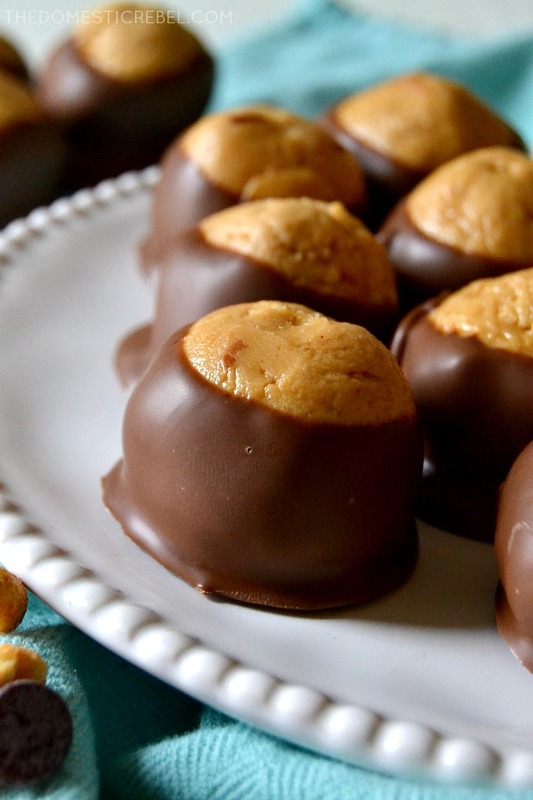 These Buckeye Truffles are the BEST I've tried! Creamy, sinfully smooth, rich and sweet, they make a huge batch and are so simple! Line a large baking sheet with foil; set aside. Meanwhile, in a large bowl, beat the peanut butter, softened butter, and vanilla extract together with an electric mixer until combined and smooth, about 1 minute. Gradually add in the confectioners' sugar, beating well after each addition until mixture becomes more like wet sand and holds together easily. 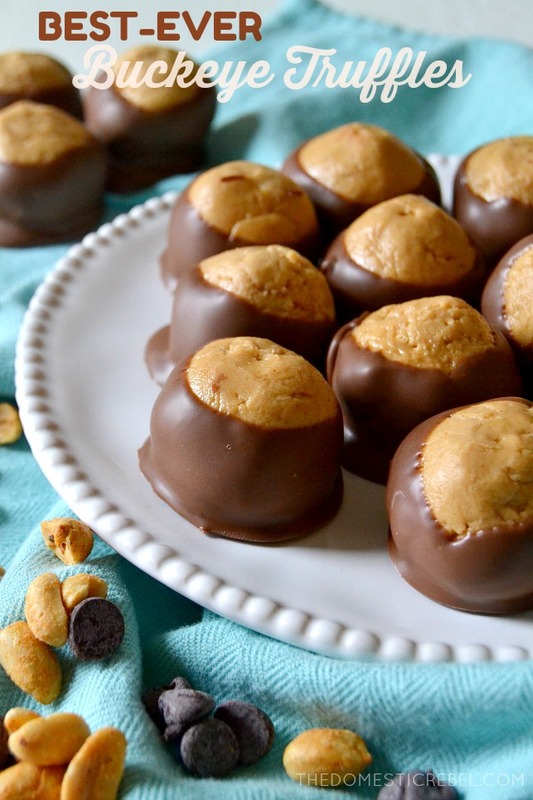 Using a cookie dough scoop, scoop out Tablespoon-size balls of the peanut butter mixture and roll in your hand to smooth out. Place on the baking sheet and repeat with remaining truffles. Freeze until firm to the touch, about 30 minutes. Once truffles are firm, melt the candy coating according to package directions, or until smooth and melted. Use a toothpick to spear the truffle and dip the bottom and sides of the truffle into the chocolate mixture halfway, keeping the top of the truffle exposed. Gently return to the baking sheet and remove the toothpick, using your fingertip to gently smooth out the hole the toothpick left. Repeat with remaining truffles. Allow chocolate to set before serving. Can be easily doubled, tripled, or even halved. 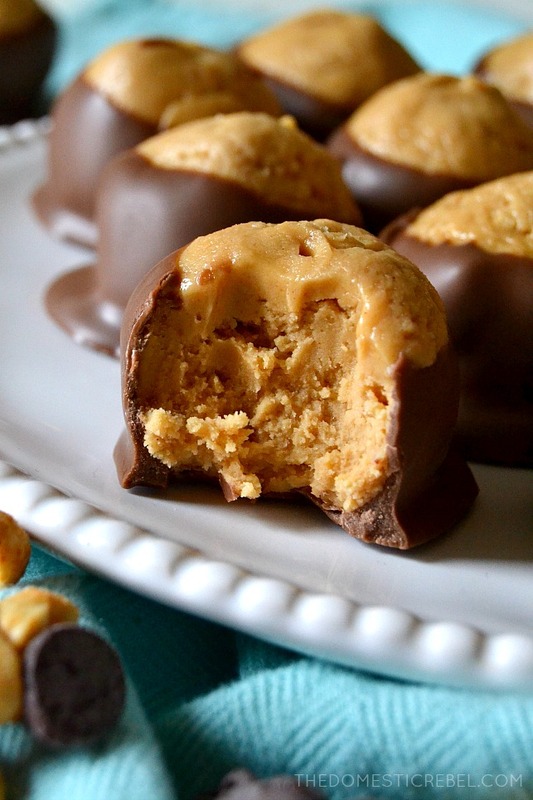 Buttery, creamy, soft and almost gooey truffles flavored with sweet-and-salty peanut butter and rich milk chocolate. Yum! Why use a candy coating instead of real Chocolate? Hi Marjie! You can totally use real chocolate, but I like candy coating because it has a higher melt point than regular chocolate chips meaning it is less likely to scorch or seize. Nice..! i love peanuts, this is looks amazing & sooo good. i will make this recipe for my kid am sure she will like it. Thanks for sharing…..! These things are my favorite. I agree about the candy coating too! Thanks for sharing! Love your blog so much! I use half choc and half bark and find that works well for a coating. Love your blog so much!Thanks for sharing!